Audio engineer Dean McCarthy talks about his work with Music Tech Fest, which aims to encourage the inception, development and adoption of more creative production methods. The music hacker landscape used to be underground, populated by shed-dwellers recycling and repurposing technology, often experimenting rather than looking to solve any particular problem. Today, there is a growing crowd of creators looking for more bespoke production methods; this market is starting to turn away from big brand tools to find their signature sound. For over a year, I have been involved with one of the forces behind this exploration: Music Tech Fest. Led by founder Michela Magas and director Andrew Dubber, the organisation prides itself on being “the festival of music ideas” – a playground where musical creativity and technological innovation take centre stage. During the event, the main stage hosts dozens of examples of new technology, home-brew experiments, performance collaborations and startup businesses. 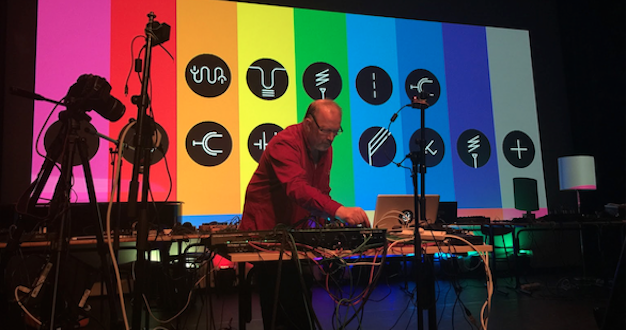 The event has seen the weird and the wonderful – from musical Tesla coils, brainwave synthesisers and giant inflatable MIDI cubes to performances by beatbox world champion Reeps One and electronic music legend Graham Massey (808 State). One of the key events is the 24-hour hack camp. Led by hacker and musician Adam John Williams, the focus is on music-related ‘hacks’, especially those with a slant on performance and interactions with tangible objects. It encourages collaborations between those with the code and those with the chords, allowing artists to work with tech enthusiasts. The environment provides the freedom to consider what interactions are possible and where these new ideas and inventions can be positively disruptive to both industry and music creation. Through experimentation without a strict objective, these events often lead to unexpected and unintended outcomes. Examples of these experiments and bespoke instruments are increasingly finding their way onto the main stage, with a growing demand for artists to include interesting performance elements. Projects like Imogen Heap and her Mi.Mu gloves, Beardyman’s Beardytron 5000 and Tim Exile’s Flow Machine all allow live interaction, keeping audience members fascinated by not just the sounds but also the way they are being produced. These events contribute to a growing scene complemented by the emergence of more local hackspaces and a progressive startup culture pushing innovation and disruption. There is an increased emphasis on diversity and outreach, especially towards women and young people. For example, Music Tech Fest Paris hosted a Girls Hack run by a ‘women in tech’ hacker group, intended to give new female hackers a chance to hone their skills. At Music Tech Fest events in London, Ljubljana and Umeå, groups of 8-12-year-olds were given their first experiences of both code and hardware construction. The next Music Tech Fest will be returning to Berlin and setting up in the amazing Funkhaus venue from 27-29 May. The Funkhaus was East Germany’s premier recording and broadcast facility and has recently come under new ownership with an aim to restore it to its former glory. 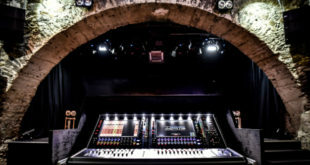 The venue is part of Berlin’s plan to become the music tech capital of the world, and will be a spectacular festival venue. The hack community is growing fast and there are hackspaces springing up across the world. Some are open to all kinds of hacks and some are more focused on music, such as the Music Hackspace in London. UK folks should check out the UK Hackspace Foundation for more information. Pure Data is a free, community-driven graphical programming environment that allows you to make a range of different music patches including controllers, synthesisers, visualisers and pretty much anything else you’re used to seeing in your DAW. Synthesisers are as cool as ever, so more companies have been releasing fun units to get you started with DIY building. Some are simpler pre-made boards you click together, like the Korg/littleBits – Synth Kit and the Patchblocks Programmable Mini Synths system. If you’d rather go from scratch, try some of the tutorials on www.instructables.com or look at the awesome kits over at groovesizer.com and what’s being discussed on the Arduino community boards. Don’t just keep your projects to yourself. The community is often filled with musicians who get together to play music and put their creations to good use. Keep an eye on the hackspaces, community boards and places like meetup.com. Dean McCarthy is an audio engineer and degree programme leader in audio production and music business at the SAE Institute in Oxford.